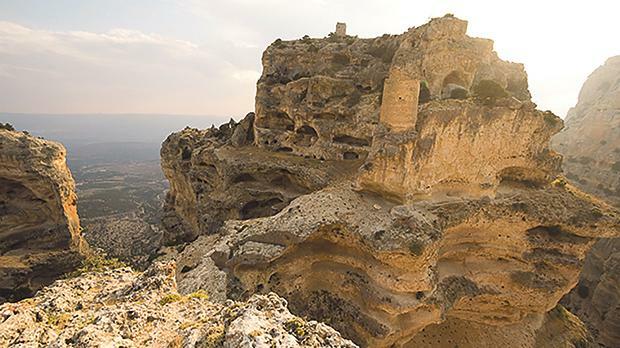 The Archaeological Society Malta is holding a talk entitled ‘From the river to the sea: The Göksu River Valley in Human History’ on Wednesday. In antiquity in particular, the Mediterranean Sea was a superhighway for trade and exchange, contacts and communication, migration and population flows. But when did this happen and how did it begin? Naoíse Mac Sweeney will present the results of an archaeological survey in Rough Cilicia, the southwestern coastal area of Turkey, focusing on the Göksu River valley that runs between the Anatolian plateau and the Mediterranean sea. Over the last five years, the Lower Göksu Archaeological Salvage Survey Project has been caught in a race against time to document archaeological sites and monuments along a 100km stretch of the Göksu valley – land that is scheduled to be flooded in autumn 2018 with the construction of a new hydroelectric dam. But as archaeologists worked to record the archaeological heritage for posterity, they found that their results led to some surprising new questions and some even more surprising answers. When they started to compile the data for long-term settlement patterns from the Chalcolithic (or Copper Age) to the Byzantine period, they found that there were a number of crucial moments when there were significant shifts in occupation and land use. Mac Sweeney will discuss these various issues. An associate professor in ancient history at the University of Leicester (UK), she holds postgraduate degrees from University College London (MA) and the University of Cambridge (PhD), and has held research fellowships at the Universities of Cambridge and Harvard. The presentation forms part of The Archaeological Society’s lecture programme, supported by APS Bank. The event will be held on Wednesday at 6pm at the Superintendence of Cultural Heritage, 173, St Christopher Street, Valletta. For more information, visit www.archsoc.org.mt.